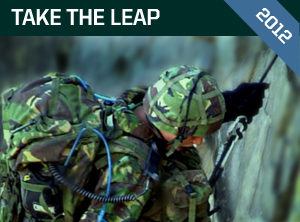 Having walked away in one piece from last year’s exhilarating Dunker Challenge I am delighted to be part of Commando Spirit’s next fundraising challenge – Take The Leap, an eye-watering fast rope abseil from an iconic London landmark (and helicopters)! Bored of sitting in your office while the sun shines? Looking for a thrill that money just can’t buy? This could be it! There are a few remaining places for this once in a lifetime opportunity. Don’t worry about fitness or fear, every step of the way a Royal Marine will be there! Your Mission, If You Choose To Accept It…. To help Commando Spirit succeed in their mission to raise £1 million for the Royal Marines Charitable Trust Fund. To achieve this, each participant is asked to raise £10,000 which will be used to aid the wounded, provide a quality of life to returning marines and, in the worst case, to support the families of those marines who do not make it back. Why Did I Accept It (Again!)? It is not just the adrenaline rush (although that is fantastic), nor indeed the money raised for an amazing cause – the camaraderie and training received from the Royal Marines turns this experience into something I will never forget, nor regret. I would love it if you joined us for this amazing experience!